Zanskar Kanishka Expedition based in Ladakh and registered under J&K tourism department (India)and is an active member of all Ladakh tour operator association (ALTOA). Our company is run by a team of local professional and dynamic people, who worked in this field from a long time and guided in Himalayan region from past several years. We introduce different expeditions for the all kind of tourists depending on the time, budget and interest of guests We offer a wide variety of different treks, tours and adventure trips to suit both novices and experienced travellers. Whether you have two days or two months to spend in the Himalayas, we can tailor your itineraries to suit your needs and desires. We take clients to unspoiled areas with the ever present, panoramic Himalayan peaks in the background. The narrow mountain paths take you through dense forests, lush valleys and quaint villages where the natives are very friendly and tend to regard guests as God. We respect and follow our clients' suggestions and ideas for planning their holiday. Our aim is to take you to a world totally different from your own and allow you to connect (or re- connect) with your own spirituality. Our hope is that all of our clients will leave Ladakh with grand tales to share with their family and friends at home and will want to return again and again with their new friends in a new found home. We believe that our incredible guides and staff are the foundation of our programs. All of our guides are highly skilled professionals who have been selected based on their technical proficiency, proven safety records, careful judgment, patient and supportive teaching styles and great personalities. we can provide you with a guide native to the area of your trek. Our mountaineering, trekking, & cultural guides are the best in their respective field. To make your vacation a more memorable one, our staff will share with you interesting facts not only about the Himalayas, but about the culture, history and religion of the area as well. Our guides are very experienced in dealing with the effects of higher altitudes and since they are natives of Himalayas, they easily acclimatize and therefore they can take care for their clients. They are equipped with necessary medical supplies and can assist you with basic first aid treatment. To insure a long relationship with our clients, we believe in quality service. 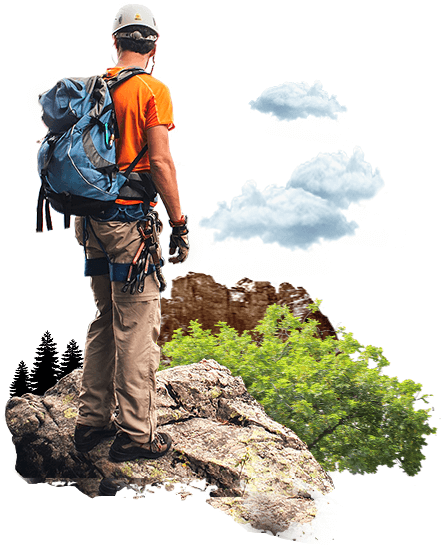 We provide the most modern, lightweight equipment, specially designed for trekking and climbing. The tents we provide are roomy, the down sleeping bags and the mattresses are comfortable. Personalised assistance on arrival & departure. Accommodation in all category of hotels from budget to 5 Star all over India and Nepal. All sorts of transfer from car to coach. 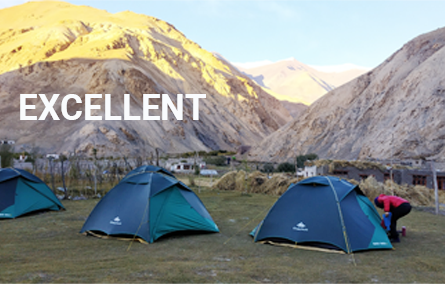 Zanskar Kanishka Expedition is one of the foremost Trekking and Expedition agency in Ladakh who stepped in tourism business at the dawn of tourism in Ladakh right after 1975. It is a company based in Leh with business tie up with various other companies in Himalayan Region both inside and outside India. After being for more than 20 years in travel and hospitality business, we know how to cater the needs of our client to their satisfaction. 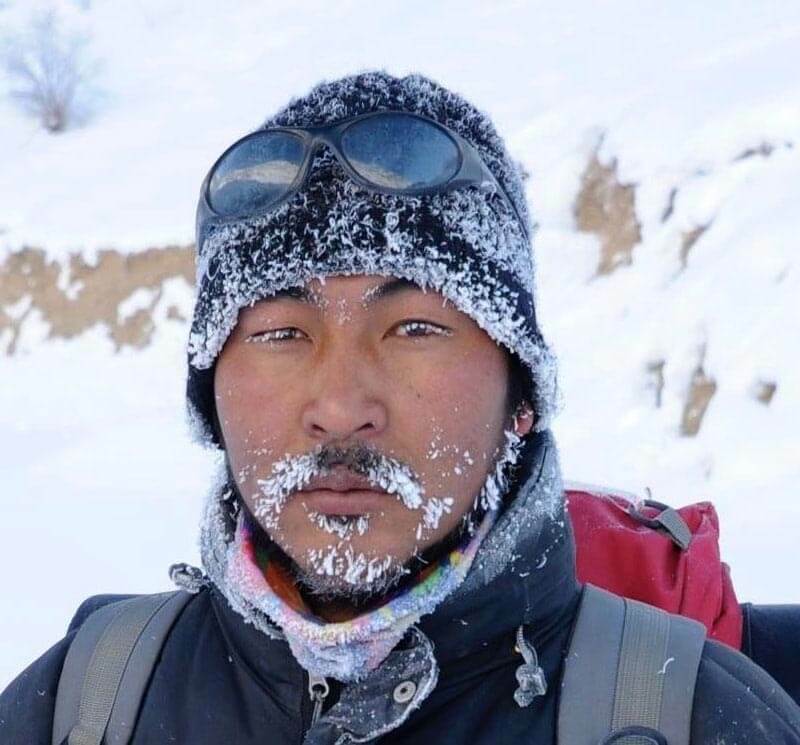 We believe in exploring Ladakh through the eyes of local people and to consolidate this believe our staff are local people right from the guide to assistant. It also helps local people to generate a good income from Tourism in Ladakh. We provide service in varieties of adventure depending upon the zeal and taste of the client ranging from leisure tour to extreme adventure in Himalayan kingdom. Our team is specialize in the geographical landscape and various cultural traits of Ladakh to provide first-hand information to our clients. With the advent of technology, there are various websites providing information about Ladakh Zanskar which are always to some extent incompetent with the existing reality. We through this digital platform try to give all the visitor and guest a true and authentic information about Ladakh-Zanskar. How this company came into Existence. This company was founded way back in 1970s by my uncle Mr. Gelek. During that time, Ladakh was a place, outside of the existing world unknown to many people all the over the globe. That was the phase of time, when Tour operator used to contact their guest through inland letters which takes about a month to reach Ladakh. That was the time of trust and humanity when one letter used to confirm the whole trip, which is now a sweet parable for our existing society of hospitality. After completing my studies in Delhi, I spent some time in Ladakh and saw how swiftly the tourism business is changing and the things are not same as before. I started working with my uncle and what I learnt is that The Technology has changed the entire system of communication. Though there is lot of communication over internet and phone but the trust –the foundation of very business in not there. So, I started working on goodwill and trust building themes in my business. Our Company work three principle of trust , honesty and goodwill. Environment is one of the most important things in this universe and the whole world is talking about saving it but seldom people work to save it. Ladakh is a very pristine country with a fragile environment. The change is climatic condition of the world is drastically showing its effect in Ladakh and a local people of Ladakh can give a very good proof of it. Environment is part of every activity; we carry out in our day to day life. Our company ensure every activity which is happening under the banner of our company is eco-friendly. During every trip, we send some bags with our crew to bring back non-biodegradable things to Leh and look for some other solution rather than destroying the beauty of some pristine spot. All over staff right from a guide to horseman or a driver is local hailing from various parts of Zanskar and Ladakh. We believe in growing together, supporting each other. We also arrange Home Stay tour in which one of our guides escorts you through a trekking route staying in various local houses in villages in between the route. We also have close association with Mother Alliance of various villages and other self help group. Whenever, we get opportunity, we are always steadfast in our endeavour to help the local community. With an experience of 25 years, Our Company has a very good hold on Zanskar Ladakh. We have successfully conquered all the major and minor trekking routes in Ladakh and Zanskar many times with our clients. We know the mountains, sky and air of this region very well and have some kind of chemistry which is indigenous to native people. Our dedication towards our client, love to serve better –a race against self to be better and zeal to explore new possibilities in adventure and hospitality make us dependable and trustworthy.